Vesta’s mission is to enhance the quality of life and to contribute to the wellbeing of all, by providing dietary supplement products, and by providing all services needed in every aspect of dietary supplement manufacturing. We produce a wide variety of ingredients for use in your products. However, you may need something different. We can help. From prototype batches to full-scale runs, Vesta can handle all your contract manufacturing needs, including tableting, encapsulation and packaging. Let our Research and Development team help create the perfect custom blend for your next dietary supplement product. Vesta is a full-service contract manufacturer serving the dietary supplement industry, and offers a comprehensive approach to fulfilling your nutraceutical requests. We specialize in ingredients, contract manufacturing, packaging, research & development and regulatory consulting. We provide the highest quality products, most innovative products and unique services for products that impact the quality of life for people. Vesta was founded in 1996 with a single uncompromising goal: Deliver the absolute highest-quality nutraceuticals and supplements to every customer, on time and at an unsurpassed value. Since then, we have grown into a premier cGMP and FDA-registered full service contract manufacturer of nutraceuticals, dietary supplements and nutritional ingredients while remaining true to our founding values in every facet of our business. Vesta’s experts are readily available to understand your concerns and develop an innovative solution specifically for you. You expect reliability. You demand quality. Trust Vesta to deliver. 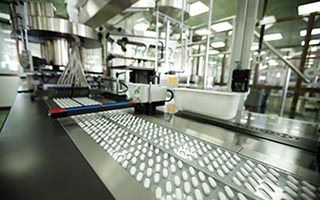 Our FDA registered cGMP plant is over 50,000 square feet with state-of-the-art capabilities in contract manufacturing for powder, tablet, capsule and packaging. In addition to our state-of-the-art manufacturing capabilities, Vesta has the warehouse capacity to hold your products until you need them. Let us store it for you in our climate-controlled environment. We can drop-ship any quantity directly to you, anywhere in the world. Plus, we are centrally located in the U.S. so that North American customers receive shipments faster. Vesta is ready to meet the challenges of the dynamic global nutritional supplement market, with its wide ranging issues – from research, development and regulatory conditions. We understand there are purer, more effective, and more potent ingredients just waiting to be discovered. Our skilled research and development staff is constantly investigating all emerging scientific and botanical data in order to formulate the next breakthrough dietary supplement your customers will demand. You reduce costs and increase profits via Vesta’s extensive product selection, quality commitment, competitive pricing, on-time delivery, and flexible manufacturing options. Whether you are looking for an existing product, a new product launch, or a marketing concept, our staff of experts will assist you with all your contract manufacturing needs. Our extensive library of cutting-edge formulations minimizes lead time. From concept to completion, the Vesta advantage can work for you! From tablets to gelatin encapsulation to powders to custom blends and beyond – Vesta has the equipment and experience to deliver them all. Our customer focused business model continues to drive us to the forefront of the dietary supplement and nutraceutical industry. Vesta promises to become a true partner in your business. Thanks for your interest in Vesta’s contract manufacturing services. If you have any questions, fill out this quick form and we’ll get back to you very soon.